Governance of forest habitat types and species in the selected Natura 2000 sites alongside Mura river, Prekmurje, Slovenia. The project addresses two forest habitat types in an unsuitable situation. Due to the building measures alongside Mura river and on nearby agricultural land in the 1960s and 1970s, flood oak-ash-elm forests are threatened by the reduction in the level of groundwater and shortened duration of floods. The unfavorable status of the riparian willow, alder and ash forests is also the result of inadequate forest management. The disappearance of aquatic and wetland habitats thus endangering amphibians (fire-bellied toad and great crested newt). The disappearance of oak (Quercus robur) and variable amount of dead wood also threatens the existence of some species of beetles (Lucanus cervus, Cerambyx cerdo …). In the area of Gornja Bistrica and Murska Šuma in Prekmurje region recently also otter and beaver emerged, which have not yet been sufficiently studied. Similarly unknown is the status of some species of birds (black stork, honey buzzard, black woodpecker …). The purpose of GoForMura project is to examine the factors that affect habitat types and obtain more information on the status of populations of selected species of amphibians, bugs, beaver and otter at several locations along the Mura river. The project will also set up the monitoring measures of birds in an unfamiliar situation. 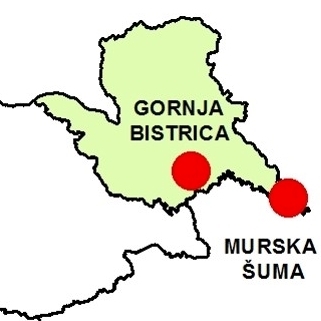 In the same sites some protective measures will be made (planting of oak, poplar…, renaturation of potential beaver sites, cutting and removing invasive tree species…) Based on the findings pioneer management plans for chosen Murska šuma and Gornja Bistrica Natura 2000 sites will be made. The project duration is due 31.1.2017 and connects the Slovenian Forestry Institute (developer) and partners: Slovenia Forest Service, LUTRA (Institute for Conservation of Natural Heritage) and NINA (Norwegian Institute for Nature Research). 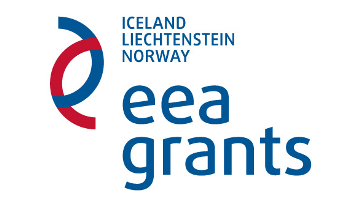 The project and web site are funded by the EEA Financial Mechanism 2009-2014 (SI02). The content of the website is the responsibility of the developer Slovenian Forestry Institute with its partners and does not reflect the views of the Norwegian Financial Mechanism.